Yes you read right: your Android ( latest generation, mind you ) might be able to play perfectly Doom 3 , the third installment dell’FPS of id Software genre that made ​​him famous all over the world. Yes, but how? Specifichiamolo immediately: DIII4A is essentially a port of the graphics engine Dante Engine , based on the original Doom 3 graphics engine ( id Tech 4 ), equipped with a suite of touch controlsdesigned specifically to make the most of the gaming experience. As such, however, is completely devoid of game data , screenshots, and reported on the Play Store are free of sample graphs in order to avoid copyright problems ( but we managed to find one ). 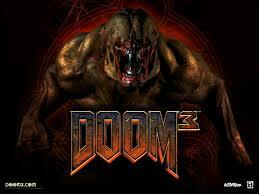 It is the same developer to specify (in English ) on the board of the software in the Play Store, recommending the purchase of Doom 3 on Steam (if you’re interested you can find it at this link ) to € 9.99 , so as to have the ‘latest version with all the patches and updates to the case . We do not know if it’s the usual project of which we spoke in early August , but no matter: the important thing is that someone managed it! The port has a full customization of the suite of controls , with the ability to move and resize all the buttons for the game. In addition, the game is compatible with wired and wireless controllers, and you can also choose the functions of the buttons. With root privileges you can also use the mouse to play them (but at that point I might as well play it on PC! ). You can specify the location from which software to retrieve data, so hypothetically you can put everything on microSD. Even the graphic details may be set for the best fit to your device: you can turn off the lighting effects, you can compress the textures to take advantage of the less RAM and you can also configure resolution and color depth. Then crucial detail: DIII4A is free , but the developer (which has already produced similar applications, such as for Return to Castle Wolfenstein ) warns that it is basically an app in beta (and probably will remain so for ever .) So if today you are feeling particularly geeks and have available a device with a decent hardware, you are served with the link to the Play Store and some screenshots of the application. Have fun! – Move and resize all controls. – Hide controls and add more, you can configure opacity for any control. – Full mouse support! (with root rights only). This is the only port that supports mouse (at the moment). – Gamepad and keyboard support just as on your PC: you can rebind buttons in-game or in console for advanced tuning. – Lighting can be disable for acceptable performance. – Textures can be compressed for less RAM usage. – Configure resolution and color depth by yourself. You can even set 100×100 resolution: all resolutions are supported (except negative values =)). – Set MSAA for best graphics. 1) Doesn’t work on old devices. Very slow on newer. Well, it doesn’t work perfect on all devices I know. 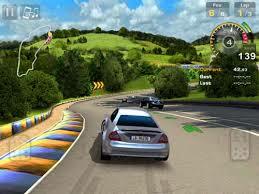 DIII4A stands for “Decent Invaluable Impressive Incredible game engine FOR All.”. All included icons/images were painted by me and are protected by copyright.Doom is a registered trademark of id Software. Android is a trademark of Google Inc. All trademarks are used under the terms of Fair Use: usage is nominative.